Concrete Solutions is part of A. Jandris & Sons, a leading producer of concrete products in New England for over 95 years. We opened the store in April 2005. The business operates out of a 14,000sf building with over 4 acres of land for outdoor storage. Concrete Solutions is being overseen by Tim Crory who has over 37 years experience in the concrete and masonry fields. 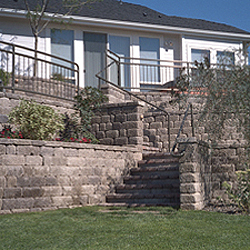 A. Jandris & Sons has always been a front runner in the concrete producing business and now, with the addition of the store, has completed the overall package of servicing the community with concrete, masonry, and landscape related products.